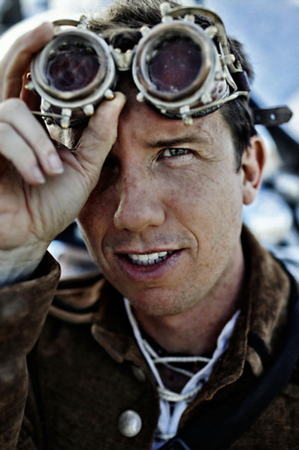 Trey Ratcliff is an artist on a somewhat quixotic mission to help spread consciousness and mindfulness to the world through photography and creativity. Running the #1 travel photography blog in the world, StuckInCustoms.com, has taken him to all seven continents over the past decade, and Google has tracked more than 140 billion views of his photos, all while building a social media presence with over 5 million followers. View Trey's media kit for additional information about the audience reach, partnerships, and other projects. "Trey’s images are other-worldly, mind-blowing creations that, at first glance, appear to be some digital trompe l’oeil; a Photoshop trickery post production creation. But no, Ratcliff’s photographs — through techniques he freely shares — are inspiring and real. Something which makes them all the more incredible." "Trey’s pictures are a daily source of inspiration for me. I can’t count the times that I’ve gotten stuck in my writing and, as I sit there staring at my computer screen desperately trying to think of the next idea, the screensaver kicks in with one of Trey’s images, and the shapes and colors triggered something in me that got me to the next note…"
"Someone once told me that a photographer is an artist that paints with light. I never understood what that meant until I saw Trey’s work."